Greg Smith had a big game in this July 1988 game for short-season Spokane. Smith helped his team out to a 7-1 lead with an RBI double, according to The Spokane Chronicle. He went 3 for 5 overall in the knocking in two and scoring twice in the Spokane win. Smith had that game in his first season as a pro. He went on to get into two more. He never made AA. Smith's brief career began that year, signed by the Padres as an undrafted free agent out of Vanderbilt University. At Vanderbilt, Smith hit .411 in 1986, leading the conference and hit .358 over his career there. He hit a home run in a March 1986 game. He hit a three-run shot in a March 1988 game. With the Padres, Smith started at Spokane. He hit .266 on the year, with 44 RBI. He went 4 for 5 in an August contest. 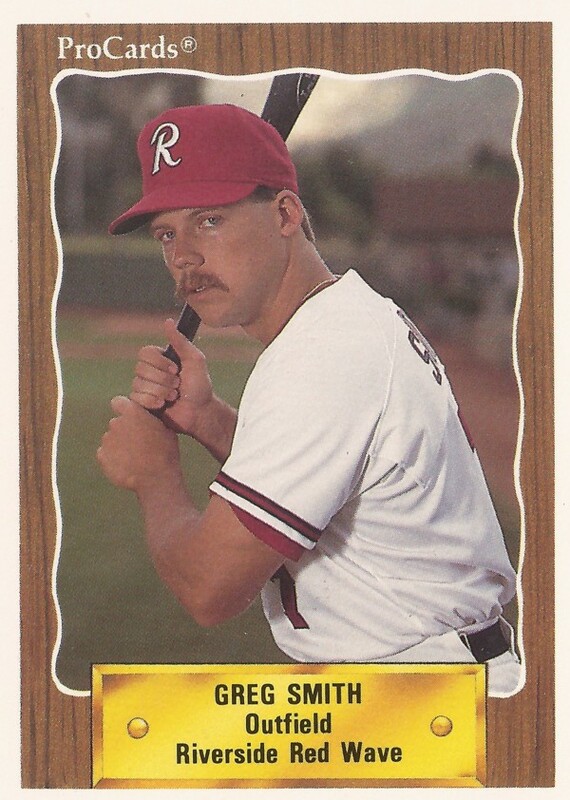 Smith moved to single-A Charleston for 1989. He hit .259 there over 116 contests. He hit eight home runs and knocked in 63. His final season came in 1990 at high-A Riverside. Smith hit .221 over 117 games, with 51 RBI, ending his career.